Journeying to the wellness startup state of mind..
My name is Nia and I’m an ex-medic. As an outsider looking in, I was constantly curious about what went on behind the scenes in a startup. Whenever I asked people to explain the details of what an average day entailed, the question was usually met with some difficulty. I can finally say I now better understand why, as every day is so unique to the one before. However it was this lack of experience, clarity and understanding that in part, hindered me from making the transition sooner. Whilst training for a career in clinical medicine I had, highly ironically, subjected myself to over half a decade of poor mental and physical health, with cumulative effects. A quarter of a century in a competitive urban environment compiled with dissatisfaction surrounding identity, the system and its emotional pressures, manifested as mental burnout and eventually, an episode of reactive depression that was the confirmation I needed – it was time for a change of scene. I learned to prioritise my intuition and decided to leave the clinical world behind on an escape from London, recovering through the pursuit of a more holistic approach to mental and physical health. Manoeuvring around Indonesia whilst working online nourished my enthusiasm for the Far Eastern way of life. Bali bore a hub of expats and locals practicing daily yoga, surfing, meditation, eating nutritious foods and displaying a healthy sense of community and compassion. When I returned to the UK, I wanted to bring elements of the lifestyle back with me, as well as a lot of the local products I had come to love but which were not yet readily available in the West. Simultaneously in the East, I was disappointed by some of the environmental and social impacts of fast growth, tourism and a lack of regulation. 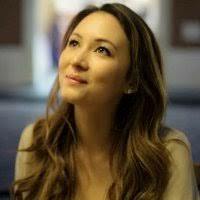 Being half Asian and half Western, I wanted to marry the two cultures together in a wholesome brand that contributes to the benefits of a more united, globalised world in the digital age. What I’ve realised is that you cannot sustainably take care of others, if you do not make time, or know how to care for yourself. ‘Yūgenial’ is an ethical, sustainable, unisex wellness brand with a focus on transparency, clean science and botanical alchemy. It was born with a focus on health prevention and understanding, not just cure. 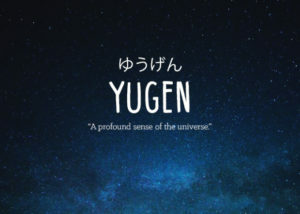 The name ‘Yūgenial’ is an adaptation of the Japanese word ‘Yūgen’, defined above. Sometimes we become so trapped in our tainted microcosm of the world, we forget just how fantastically mysterious and expansive life really is. Holistic wellness is in large part about perspective and it can take existential burnout to fully appreciate that. 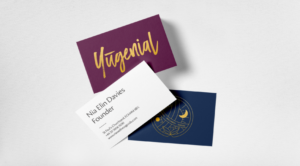 ‘Yūgenial’ has connotations of rejuvenation, youth, millennials, self-care, spirituality, multiculturalism, the unconventional and modernity meeting ancient wisdom.